Hello ladies, remember my report about Laneige event few months ago? From that event, I was given a very generous goodie bag that consist 2 of their best seller items. One of the is this Laneige Snow BB Soothing Cushion. The new era of BB Cream, everything are packed in compact packaging. It is huge and sturdy. I love the white color of the case because it looks pure and clean. I think it is very efficient, because with compact packaging, we can easily change the BB Cream with the refill when its already empty. By the way, this set also provides the refill. To change the BB Cream, you only need to push at the bottom of the container and then it will come out and you can change it with the new one. The packaging also comes with puff and mirror. The puff is navy color, it is a little bit different with an ordinary puff that usually comes with compact powder. The puff is designed to absorb less moisture than any ordinary puff so that the face stays refresh. This cushion is really up to its name. I fell in love for the first time! When the first time I received it, I don't check the shade, and turns out what I got is number 21 Natural Beige. Usually for BB Cream, my shade is Light Beige, so natural beige is a little to dark for me. It looks a little bit to dark / brown when the first time I swatched it on my hand, but when I blend it on my face the color can fit my skintone quite well. I just need to set my makeup with lighter powder on top of it. The coverage for this cushion is buildable, it cover big pores well but I still need more concealer for acne scars. The texture is very lightweight and it does give a glowy and watery finish on my skin. I love it very much. Rather than makes my face looks oily (like most of BB Cream with dewy finish) this one makes my skin looks healthy and supple. It feels like apply water on my skin when I apply this BB Cream, the cooling and refreshing effect is really one of a kind. This is the first time I experience it. It also sweat-proof and the oil control is quite good. 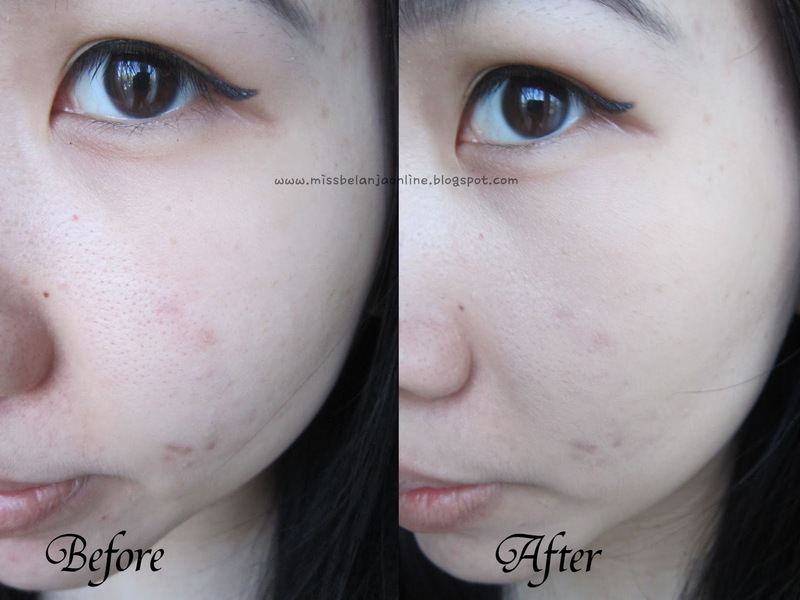 Another advantage from this BB Cushion is the high level of sun protection, with SPF 50+ / PA +++. Bottom line: This cushion quickly become one of my favourite cushion. I brought it during my holiday trip last month to Bali, and I think I made a right decision. This BB cushion stays on my face all day! also the high level of sun protection made it perfect to bring to the beach. yay! Down point~ it is a little bit too oily for my skin because I've already have an oily skin. So, usually I will add matte powder after I apply this BB Cushion to set my make up. Also the price maybe quite expensive for some people (around IDR 430K), but if you have more money you maybe want to give this BB Cushion a try. After all in 1 packaging you will get 2 pacts of BB Cream (Yes, the refill is included in the box) so I think it is still acceptable.